This is a non greasy eye makeup remover. Gentle and hypoallergenic. Shake before using. Apply to a cotton pad and gentle press on the eye lids. Wait a few seconds while it works. Finishing by wiping from the inside to the outside corner of the eye. 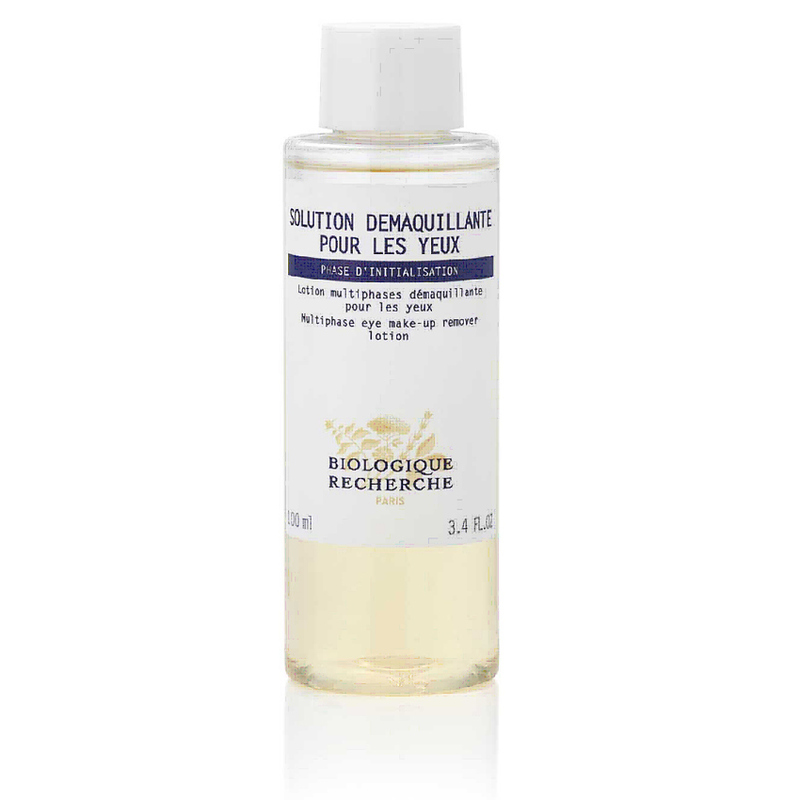 Solution Demaquillante Pour les Yeux efficiently dissolves and eliminates make-up, even the waterproof kind. Its soothing, non-greasy formula respects the delicate area around the eye. Shake the bottle before use. Soak a cotton pad with Solution Demaquillante pour les Yeux and gently dab the eye-lids to remove make-up. Allow the lotion to act for a few seconds. Finish removing eye make-up by wiping from the inside corner to the outer edge of the eyelid.